VL Automotive of Auburn Hills, Michigan, held the world premiere of its Destino two-door hard top convertible touring coupe Concept at the 2014 North American International Auto Show today. The Destino Red concept, based on the Fisker Karma chassis and re-designed by former General Motors vice chairman Bob Lutz, now joins the Destino sedan he and VL Automotive co-founder Gilbert Villarreal introduced last year. The Destino is powered by a Chevrolet Corvette LT1 or LS9 V8 engine mated to a six-speed automatic transmission. Bespoke color choices and interiors by Katzkin complement the world-class mechanicals to deliver on the promise of a unique and elegant road machine. "We had hoped to be in retail production by now, but a five-month interruption was caused by the reorganization and restructuring of Fisker Automotive which is a major supplier of some structural components and some body panels," Villarreal explained. "Pending resolution of the bankruptcy proceedings, we will continue to negotiate for those parts in tandem with development of VL Automotive's own fabricating operations which make front and rear facias, roofs, trunks and hoods." Lutz said international reaction to Destino has been all he could have imagined. "We have received hundreds of inquiries and orders from customers and dealers in the United States, Europe, the Middle East and Asia," said Lutz. 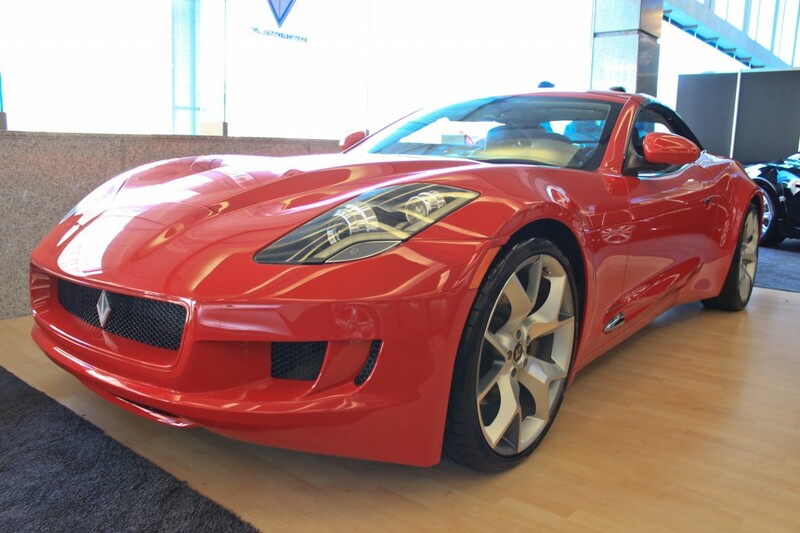 "We have also been pleasantly surprised by the number of Fisker owners inquiring about conversions. Gilbert and I are preparing for that work, too."